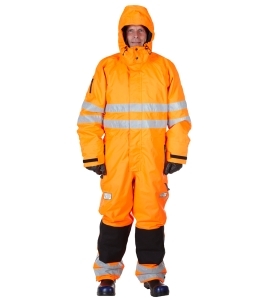 TST Sweden develops and manufactures Personal Protective Equipment with technically advanced features, high level of comfort and of the highest quality. WOMA sells the complete assortment of TST Personnel Protection Equipment for hydro demolition, water jetting and blasting at High and Ultra High Pressures (HP and UHP). 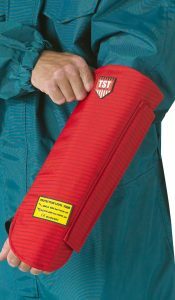 The TST range of clothes are developed to offer the best possible comfort, at the same time as they protect from water jets up to 3000 bar/43.5 kpsi. This product range includes the popular Gamma kit, Delta kit, Sigma kit as well as Jacket, Trousers, Apron, Hand Protections, Gaiters, Shroud and Curtain. TST has launched a series of protective clothing for high pressure liquids called ProOperator. This range is suited for high pressure water cleaning or hydraulic maintenance. Depending on the equipment, they protect for up to 500 Bar pressure. 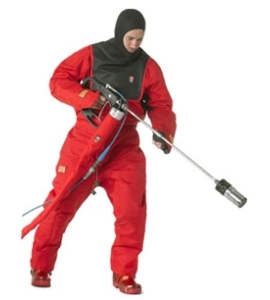 Thanks to the knowledge and experience of protective clothing for waterjetting up to 3000 Bar, TST have been able manufacture and supply comfortable, functionable and safe protective clothing.